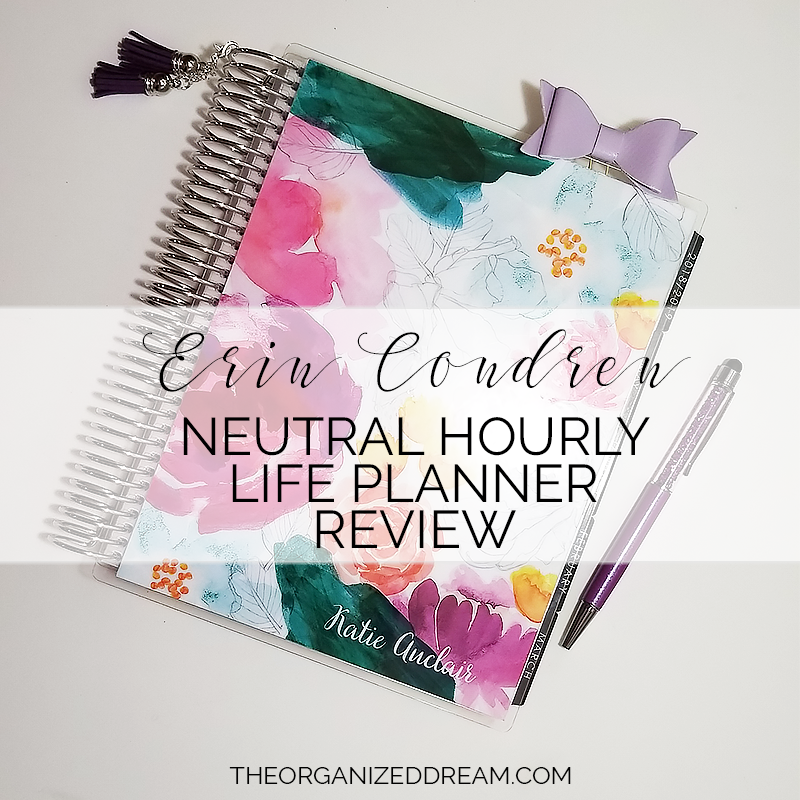 So I've had the opportunity to use the Erin Condren neutral hourly Life Planner for a little over a month. I chose this planner for 2019 and today I'm going to share my thoughts on it. Will I stick with it for the whole year? Well, let's see what I have to say! First off, I want to say that I put a lot of time into deciding what planner I wanted to use in 2019. Last year, I used an A5 Carpe Diem planner and knew rather quickly that it wasn't for me. I used it for most of 2018, but often chose to use my own planner pages to track my tasks and to-do's. I didn't want to end up in the same predicament this year. I wanted a planner that was larger than an A5 for starters. I realized that there simply wasn't enough space for me to keep track of everything on a daily basis. I also wanted something that I could easily use for lists since that's the way I like to plan. Because the hourly planner uses columns instead of boxes, I thought that this would be a great option. It's also customizable which is something that I really love to do with everything. The fact that I could change up the covers and personalize it with my name was awesome! I really enjoy decorating my planner and the fact that there are so many resources for planner stickers that are perfectly sized to fit this planner means that I can spend less time adjusting my stickers and more time actually planning. Decorating your planner is completely optional, but there's something about using something that is visually appealing that makes me WANT to use it. Sometimes I even find myself making plans just to use my stickers. It seems silly, but I am more efficient when I write things down so if stickers and washi tape help get the job done, why not go for it? There is a bunch of space in this planner to jot down anything. The monthly planner spread is large enough to write down a few different things under each day and the side of the calendar offers plenty of space to jot down important information such as monthly tasks, etc. 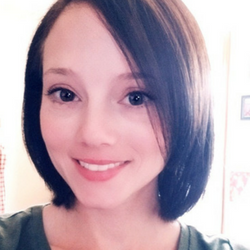 There is a notes page after each month that I have decided to use to track my monthly blog and social media stats as well as my next month's intentions. It's sort of my wishlist of things I hope to accomplish...a goal setter in a way. Each week features a column for each day spaced with times by hour for easy appointment tracking and a decently sized side bar for weekly tasks. I really wasn't bothered by the dark times on each day at first. They still don't really bother me all that much, but the years before had lighter hour times and I can't understand why they needed to be darker. I don't necessarily use them other than as a guide so they're pretty irrelevant. This planner is definitely an investment. With a price tag at over $50, you really have to decide if it's the right planner for you. I thought it was a little pricey compared to the other planners I've seen, but I justified the price by comparing it to what I paid for my Carpe Diem. I was really only spending an extra $20. This planner comes with a few pages of stickers. I have yet to use these sheets, but I can see where they could come in handy for someone who isn't fully into decorative planning. This is basically a small booklet where each month has the days listed by lines so that you can write specific events next to the dates like birthdays and appointments. I would consider using this as a content calendar at some point, but for now, that's what I'm using the monthly calendar for. Erin Condren is one of the most popular planners in the planner community today and after using this planner, I can see why. My advice to you is that if you're looking for a planner, make sure that you address your needs and not what's popular. I highly recommend this planner for people who use checklists often to track tasks and to-do's. I also suggest this planner for anyone who blogs or runs their own business. It has helped me more this past month track different aspects of my blog, Etsy shop and social media than a regular checklist on paper or even my Carpe Diem! 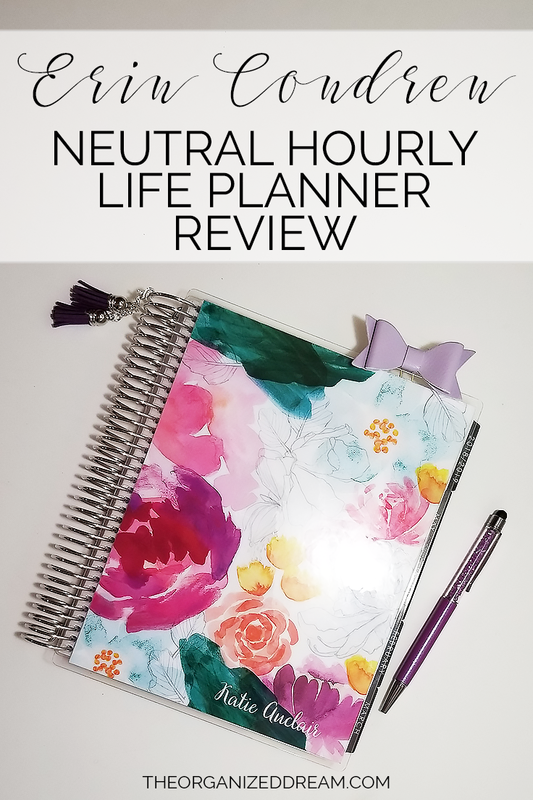 These are only my opinions, of course, but if you want to give this planner a try, go for it! 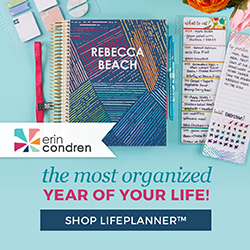 If you use my link, you'll get $10 off your first purchase which means that this planner could cost you way less! Want to check out all of my planner spreads since the beginning of January? Check them out in the slide below!